Did you ever feel your website has hit all the significant and well-known SEO targets but somehow the website search ranking is not a mirror of this perfect picture? It just may be that you have missed some of the underrated or miss-understood SEO factor which we want to discuss. When we talk about search engines, most of us think Google and dismiss the fact that there are other search engines. Yes, Google is the search engine that drives most traffic for the majority of websites. Talking about SEO two more modern search engines must be taken seriously. Those are Apple and Amazon. Amazon is renown around the globe as a marketplace website, while those that need such services are aware they are a big supplier of data-center and cloud services. In fact, Amazon is the most valuable public company on the planet. Over 60% of online traffic comes from mobile devices, and the trend is expected to grow. A major part of this traffic comes from apps and Apple’s app store. How this translates into SEO? This means a website owner with a product should work SEO optimizations toward Amazon keyword search. Similarly, the rising importance of app store with mobile devices means understanding how it works and factoring its search algorithms will be beneficial for your website SEO. Search engines are constantly working to optimize their understanding of user search and improving the search results to better reflect that which was exactly what the user expected. The year behind us showed clearly how Google algorithms are able to determine the website content quality with increased sophistication. This shift toward more quality over quantity means content that is written in long-form and with consumer needs in mind will be prioritized. Precise answers to a specific question, with elaborate support information, while not misleading both the search engine and user, will hold better value in SEO terms. Website and page loading speed has become an SEO hard factor. Both mobile and desktop user attention span is shrinking. If the user is not provided with website content or page fast enough, he will quickly swipe or switch to another window and most probably will never come back. That is why increasing website speed is one of the most important trends this year. 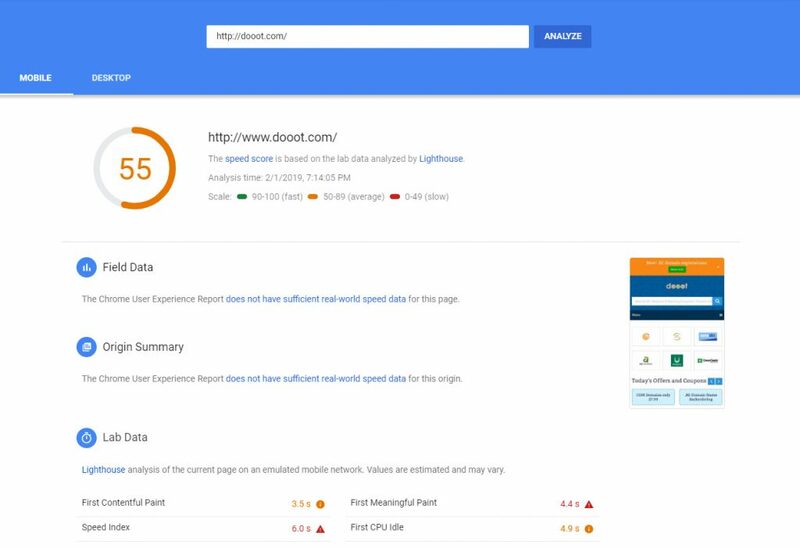 One of the newer and very effective ways to test your website user experience is Google PageSpeed Insights where you will receive data about how long it took for the first content to be displayed, as well as the time it took for the website to be able to take user input and other useful data. Google has decided to penalize website search ranking for those that load longer than 4 seconds, though ideally, a website would be best to load under one second, because the faster your website loads, the higher search rank it will receive. Voice search from mobile or home devices accounts for roughly 20 percent of overall search, and it is predicted to reach 50 percent in a few years. One of the important website SEO trends this year will be adding voice-search optimized keywords. This kind of keyword is most commonly shorter and in the form of command or question. So much pressure has been placed into adding backlinks, that brand, product or company references without a link have been neglected. Yes, high-quality links are important but this does not mean that linkless mentions are obsolete. In fact, because the search engine algorithms are becoming smarter and able to read our content, linkless mentions are receiving value as they may be more genuine, unlike paid links that may be considered as black hat SEO. Having your website data structured, if it not already so, should be a top priority. Structured data with meta descriptions and more detail about your content will enable easier and faster search engine crawl through your website. The most common example of structured data is a database. Google’s Structured Data Markup Helper can be of immense assistance with this SEO factor. Albeit a local business or a global company, every online business in the world is competing for better search rankings, while the algorithms and the technology used to search the internet is evolving. If you are eager to achieve or maintain high search ranking, you must embrace changes and apply new knowhow to your online business. Entrepreneurs all around the globe must optimize their content and those that make these changes will reap the reward of higher search ranking. Previous Post:What is the best domain name for a website when a suitable .COM is taken? Next Post:Why is .IO a great domain choice for your new tech or startup website?